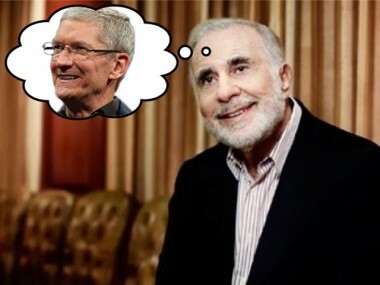 Billionaire investor Carl Icahn expanded his position in Apple Wednesday, taking advantage of a post-iPhone event slide that dragged the company’s stock down more that 5 percent. Which is pretty much what Icahn has been saying for weeks now, ever since he announced via Twitter that he has taken a “large position” in Apple, and believes the company to be “extremely undervalued.” His theory: Apple’s stock could rise as high as $700 if it buys back shares now by borrowing $150 billion at a 3 percent interest rate to fund the purchase. “If Apple does this now and earnings increase at only 10 percent, the stock — even keeping the same multiple currently — should trade at $700 a share,” he said last month.